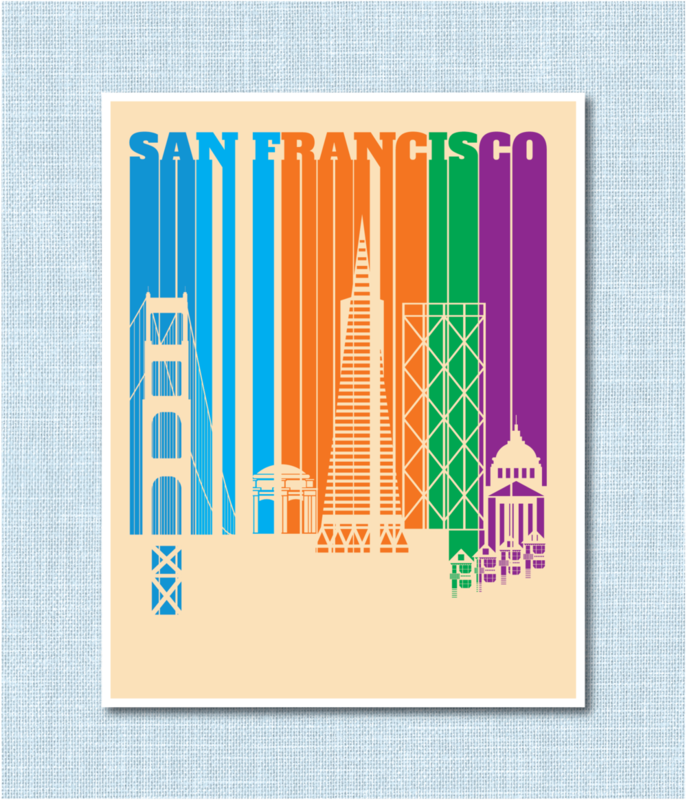 Recently I posted about working on a new Graphic Art Print of San Francisco. After hours of working on my print, drawing the buildings, adding color etc. printing it and formatting it to sell in my Etsy Shop, I noticed I made a spelling mistake. Since this print is based on the word/words of the city of San Francisco and Francisco had the spelling error, I really felt like a fool. Before I freaked out and got angry with myself, I rolled my sleeves up and started the process all over again. Mistakes happen to all of us. Since I had to do the process over, I thought it would be fun to show some images of how I develope my work. As you can see in some of the images above, there is a ton of details that go into my drawings of the buildings only to bring them down to the simplest form. I really enjoy working on the series. Sign Up for my Email List for a Free Instant Download as my personal Thank You! Thank you! Please click on this link for a free print download as my Thanks for Signing Up.